Whenever I come across tech things, I feel the unwavering need to share them with the masses…or at least as many of the masses as will read this. 1. The Smallest Live-Streaming Video Solution- Contour announced a partnership with Japan-based Cerevo to unveil the world smallest and least expensive live-streaming video solution. 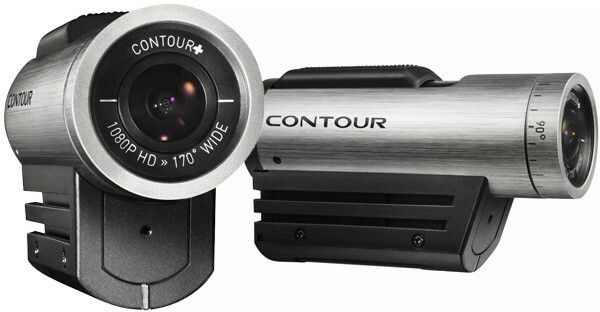 Contour is a hands-free video camera maker and in 2011 they released the Contour+ and ContourROAM cameras. The Contour+ works seamlessly with the Cerevo LiveShellfor live streaming video solution. The Contour+ weights only 5.3 oz and has a 170° wide angle lens. It delivers HD video up to 1080p at 25/30 fps or 720p at 50/60 fps. With the new Contour Connect App any iPhone and soon Android can be used to stop and start and recordings. Contours exclusive Bluetooth technology allows Contour Connect to turn the users cellphone into a wireless viewfinder, so the user can adjust shots in realtime. There are multiple mounts available allowing the camera to be attached to almost anything. What the Contour+ was missing was the ability to stream directly to the Internet. That is what Cerevo adds to the equation the Cerevo LiveShell. The Cerevo LiveShell attaches to the Contour+ by HDMI cable and then it can send out a live stream either by wired LAN or 802.11 b,g and n compatible wireless LAN. The Cerevo LiveShell can run for 2 hours on batteries. You can control the LiveShell thru a Web-based application on a smart phone or computer. The LiveShell has a maximum resolution of 480p. It is the first device that was given the “Ustream Compatible” seal of approval by Ustream. 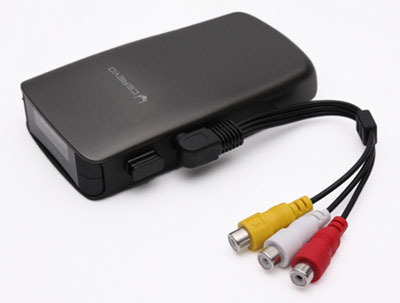 It does come with a power adapter allowing for 24/7 stable broadcasting. If you want to see an example, the Cerevo LiveShell is currently running in Akihabara, a section of Tokyo, Japan. The Cerevo LiveShell works not only with Contour products but a multiple number of video cameras, including cameras with analog inputs. The vision for Contour began in 2003 out of the University of Washington business plan competition when two undergraduate students and avid skiers, Marc Barros and Jason Green, devised a simple helmet camera to record their exploits. The two wanted to share video of the thrills and spills of their downhill skiing adventures with their friends and family, but they couldn’t. The frozen mountaintop was a grueling and unforgiving environment for video camcorders. Besides, when you’re zooming downhill, crashing through trees with ski poles in your hands, holding onto a camera is the last thing on your mind. After winning third place in the competition and enough money to afford the rent on a chilly warehouse, the two friends began building and selling the Twenty20 Helmet Camera. Over the years Contour has introduced a series of innovations to make storytelling easier for outdoor enthusiasts. Cerevo is a Tokyo, Japan based company started in 2007 they specialize in live streaming. The Contour Connect is currently available in the iTunes store and should be coming to Android 2.2.1 and above in April. The app is free. The Cerevo LiveShell was launched in Japan in November 2011 and will be available through the Contour Web site starting February 1, 2012. If you want to stream your adventures live to Ustream than you need to take a look at both the Contour+ and their new partner Cerevo LiveShell. 2. Griffin’s Gadgets on the Go- Griffin has one of the best ranges of accessories for smartphones of all kinds, as well as MP3 players and tablets, so it’s no surprise that they’ve got a few additions to their product range. This year they’re announcing two in-car mounts, some power solutions and a mount for air travelers. First up, if you have a car that has an aux port (3.5 mm socket), then the WindowsSeat 3 Handsfree is the windshield or dashboard mount for whatever your drive. It comes with a combined aux cable and microphone that that can be used to make handsfree phone calls and stream music/navigation commands through the car speakers. WindowSeat’s mounting cradle holds iPods or iPhones in most shell- or skin-type cases, as well as a similar sized MP3 players and smartphones, including some popular models from BlackBerry, HTC, Motorola, and Samsung. If you don’t have an aux jack, the AirCurve Window Mount is the alternative. This windshield mount is designed as an acoustic amplifier which can raise the volume by as much as 25 dB without any batteries or cables. 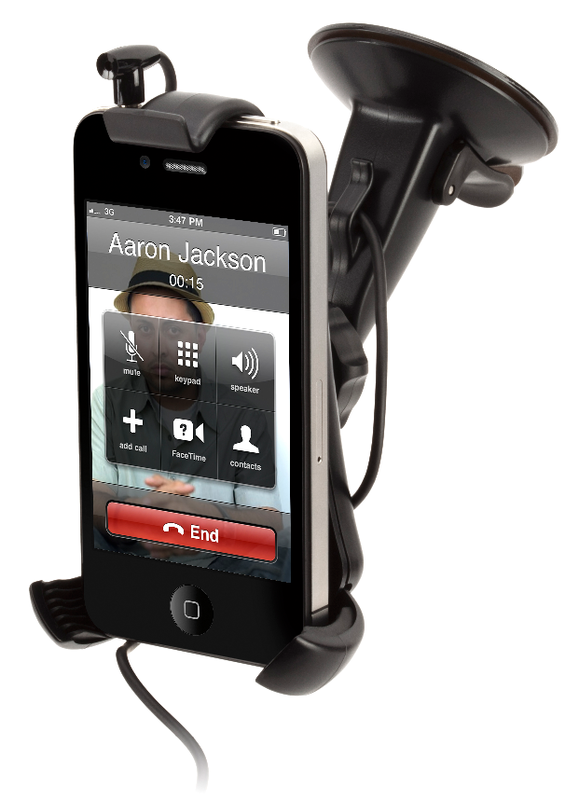 Designed for the iPhone 4 / 4S, simply put the smartphone in speakerphone mode and chat away. Griffin’s PowerBlock range has been updated with new models – PowerBlock Reserve, a wall charger for iPod and iPhone that can be plugged into any AC wall outlet to provide a quick boost of power that also has a built-in rechargeable 2,000 mAh lithium-ion battery pack for charging on the go. The PowerBlock Reserve Universal, is the same concept but quickly charges any USB device. Both models charge their own batteries at the same time they’re charging connected devices, which is often not the case with competing models. A row of LEDs serve as a power gauge, indicating how much charge is left. 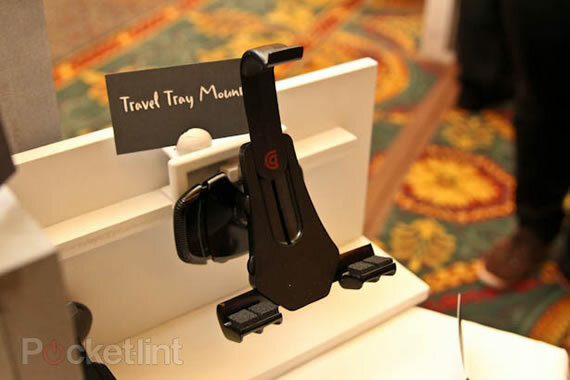 Finally, Griffin is bringing a new product to the market in Q2 of 2012 with a Tray Table Latch Mount. Specifically for the air and rail traveller, the mount is designed to be compatible with 90% of the world’s airline and commuter rail tray table latches and holds your eReader, tablet or smartphone at eye level for comfortable viewing. Very handy. 3. Blue Mic’s New Microphones- If you are a Podcaster you are familiar with Blue Mic. Founded in 1995 they sought to improve the front-end of audio recording by utilizing the increased bandwidth benefits enabled by digital technology. Advances in digital processing (e.g. extended frequency response, dynamic range, project recording capability) have fundamentally changed the recording process as well as the potential for the performance of microphones. 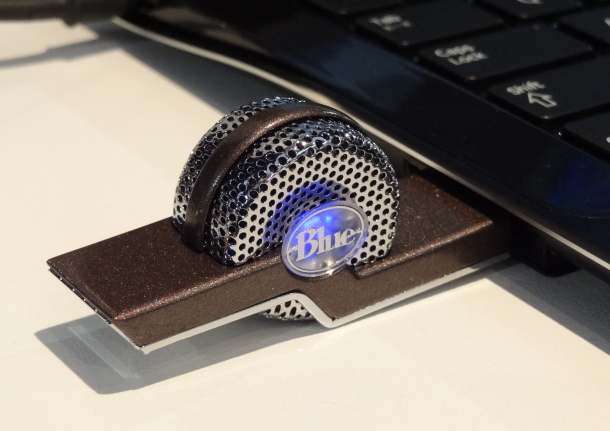 Basing many of their concepts, designs, and technology on knowledge gleaned from years of repairing and improving classic microphones from a wide variety of manufacturers, but by simultaneously integrating new technologies, materials and a first-hand knowledge of today’s recording process, Blue began to pioneer the perfect analog input devices for the digital age. They are the maker of the Yeti and Snowball mics. This year at CES 2012 they introduced three new mics, the Spark Digital, the Mikey Digital and the Tiki. The Spark Digital is a studio grade condenser mic. It allows for high fidelity recording. There is an onboard control for volume, gain and instant mute. There is a headphone jack for realtime monitoring. It connects to both the iPad and a USB device easily. It is plug and play and has LED meter which provides visual feedback. It comes with an adjustable stand. 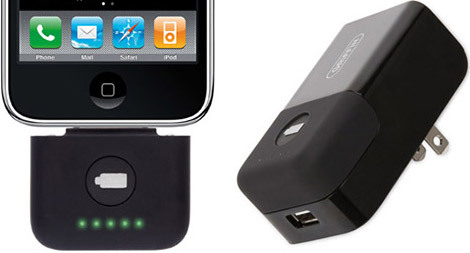 The Mikey Digital is made for the iPod touch 4th generation, iPhone 4, iPhone 4s, iPad 1 and iPad 2. It allows for automatic or manual gain control. There is a three gain setting. It is set up to allow for stereo recording. It has a 230 degree rotating design and comes with a built-in USB charging port. The Tiki is an intelligent ultra-compact USB microphone. It has voice isolation and noise cancellation. It can eliminate constant background noise by the use of intelligent muting. It is optimized for podcast and music recording. It improves voice clarity for Skype and iChat. 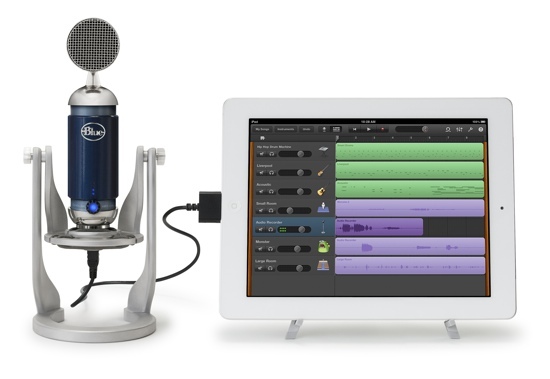 All three microphones work with most recording software including Garageband and should be available soon. If you are a fan of USB mics, I’d suggest taking a look at these three. Blue Mic provides quality at a reasonable price.